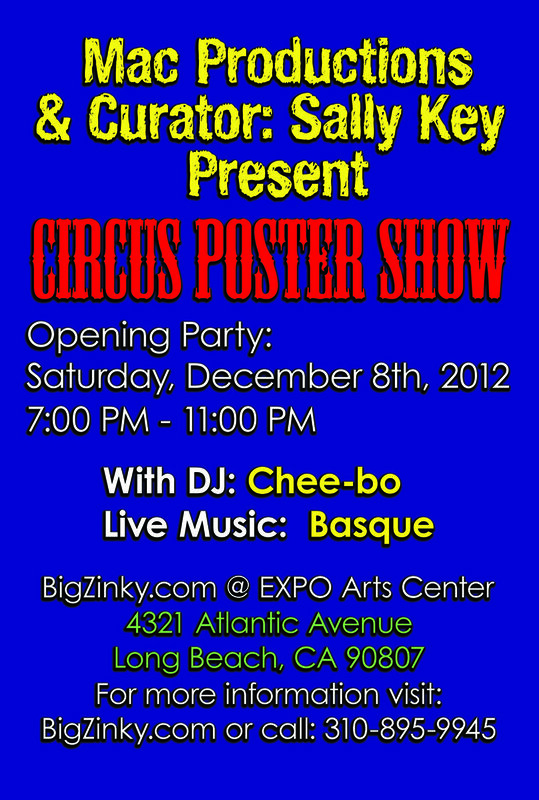 Saturday, December 8th, 2012 | 7pm - 11pm | With DJ Chee-Bo and live music from Basque. Circus Poster Show presented by Mac Productions, curated by Sally Key. Over 80 post-War circus posters from the silver age of circuses. Barnum & Bailey, Clyde Beatty, Ringling Bros. and lesser known but important pieces by Hanneford, Al G. Kelley, Lewis Bros. Pollack Bros. & many more. From the collection of Fritz Von Helgheim of the Von Helgheim pencil fortune.